Hello everybody! We had a great week with many classes, school programs, and events. Each class touched on the theme of Connection. Finding simple ways to do this — like making eye contact or giving a smile. Taking time to connect to our own strength. Realizing what we are capable of with strong poses, group work, and breath work. Pretty amazing what the kids accomplished! Our schedule for this week is below. Hope to see you soon! A great Tween Yoga+ Class last week! 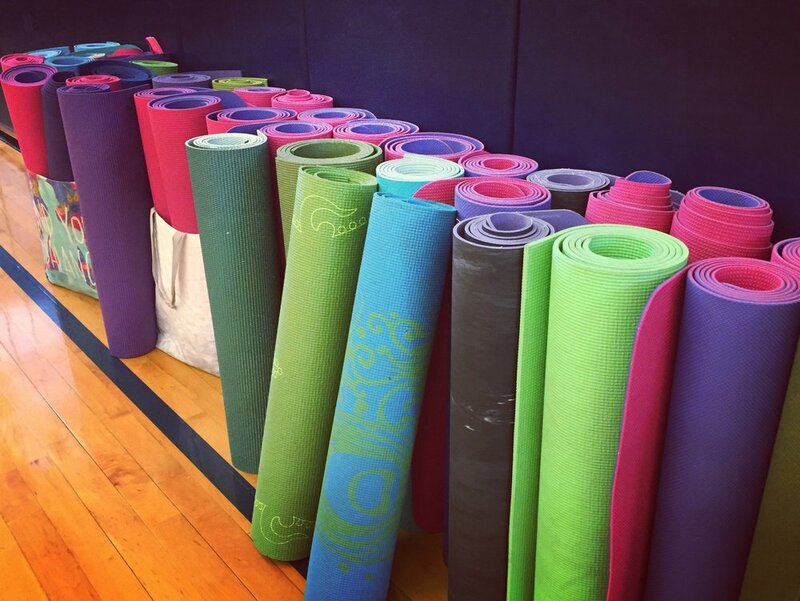 Our Yoga at School program — a great outlet for exercise and mindfulness for students. ADULT YOGA: ALIGNMENT FOCUSED CLASS at 6:00 - 7:00pm with Jessica (Fairport). Enroll here. AGES 3-5 at 10:00am (Victor Rec Center). 1/17 - 2/24 (5 week session). Find upcoming sessions here. AGES 3-5 at 10:00am (Perinton Rec Center). 1/25 - 3/1 (FULL). Find upcoming sessions here. TWEEN YOGA+ CLASS: Tween Yoga + Mindful Chocolate Tasting and Self Love Jar Craft. Thursday, 2/7 @ 6:00 - 7:30pm. Ages 8-13. Details here. FRIDAY NIGHT YOGA CLUB: Friday, 2/8 @ 6:00 - 8:00pm. Ages 5-12. Details here.